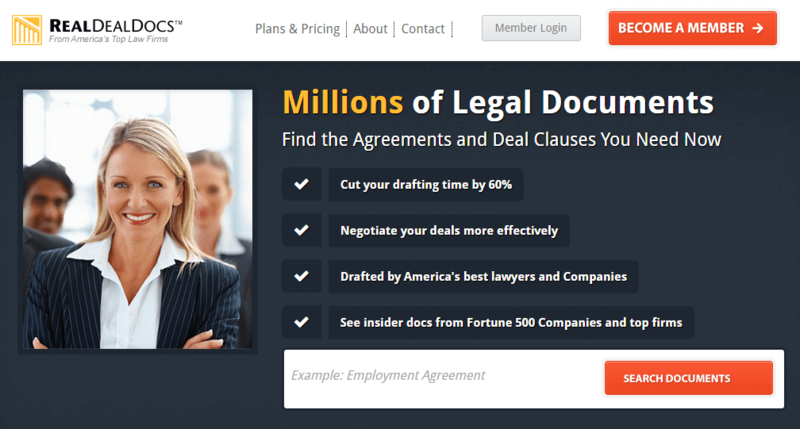 RealDealDocs is a comprehensive library of millions of legal documents drafted by some of the best lawyers from a variety of practice types and used by Fortune 500 companies. 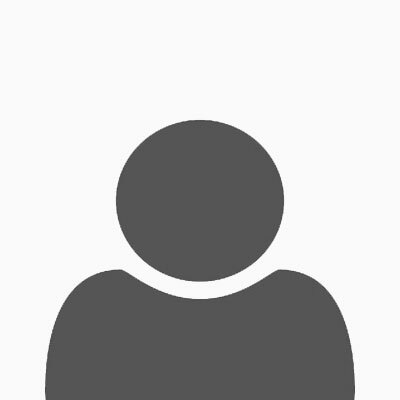 Searching through the document database lets you find the corporate document you need, with options including employment contracts, royalty agreements and more. Full-text search enables you to search by a variety of facets to locate the exact document type you require, therefore cutting your drafting time in half. The documents are categorized in a proprietary engine so you retrieve the documents applicable to your case. All of the documents contained within RealDealDocs were created and used by established lawyers so you can use them effectively in your own practice. No matter the location, circumstance or legal document search, you can find it on RealDealDocs. Once you find your document, download it in MS Doc and customize it to fit your case. 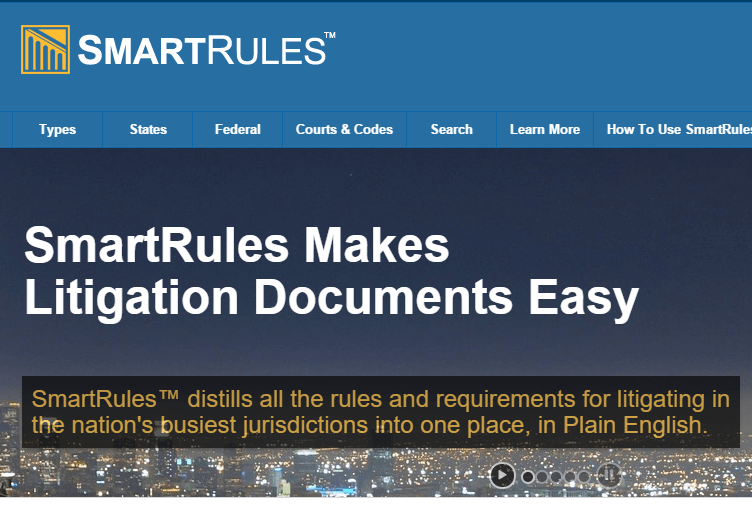 SmartRules brings efficiency and compliance to common litigation tasks. A searchable database of updated task-based procedural guides, SmartRules lets you find and accurately complete the tasks need for litigation. You only need to search what type of legal action you're taking, and then SmartRules will display what rules apply and in plain English, with links to the full rule text. Expert commentary is also displayed to help make informed legal decisions, in the case of a conflict or other situation that may arise. 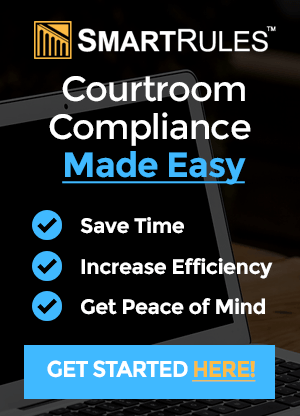 SmartRules helps you assure courtroom compliance by keeping you informed of all codes of civil procedure, rules of evidence, standing orders, local rules, and state codes for state superior and trivial courts, as well as the United States District Courts. SmartRules monitors all 50 states' respective court websites, as well as all federal policies, to help you keep up to date. Stop visiting multiple websites for rules, and join the thousands of legal professionals and attorneys who trust their procedural activity to SmartRules. Time 59 is a web-based billing, expense and time tracking software for legal practitioners. Perfect for solo attorneys and law firms, the interface lets you enter expenses, timed activity and billable hours all at once. The automated legal billing software calculates invoices and interests for you, so your billing is accurate and up-to-date for clients. Time 59 is a one-site law practice billing solution used by over 1,000 law firms and runs on any device, including Mac, PC, smartphones and tablets. Enter client payments or activity right on your phone when you're out of the office, and nothing will get missed in your next invoice. With Time 59, attorneys and their staff reduce the need for cumbersome spreadsheets and keeping endless paper documents. Trust accounting, hourly clients, and fixed fee clients can all be tracked in one system, effortlessly, so you know who has paid you and who owes you money. Customize each invoice with your logo, column names and more. Everything is done automatically, with time and expense records flowing automatically to the invoice. No need to cut, paste, or retype to put together an accurate invoice, because Time 59 does it for you. Free unlimited customer support is available for all Time 59 users, and all data can be exported to Excel. Stay updated on all of your law firm cases with the affordable yet powerful dedicated case management software MyCase. MyCase is a web-based law software for legal researchers and practitioners that organizes all of the details of every case you work on, putting them in one place for easy retrieval by you and your client 24/7. The included law calendars and reminder features mean all of your case dates can be accessed within minutes, alongside all case documents and contracts. 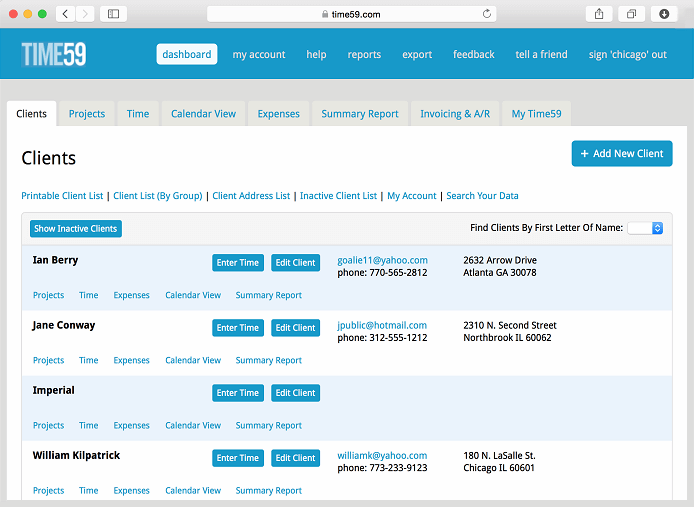 More than a legal case management system, MyCase also features legal time and billing so you can bill clients with ease. Take online payments, schedule payment plans, and create invoices with one click. 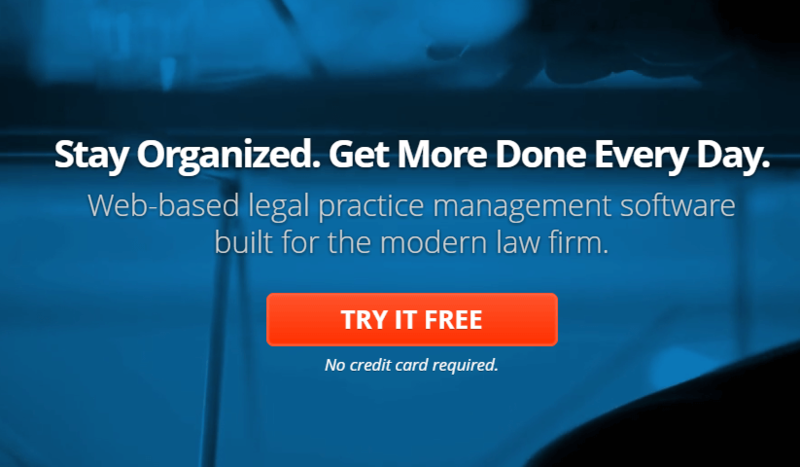 Contact management, tasks, and to-do lists reduce the amount of time spent on tasks, and offer an all-in-one solution for every facet of your law firm management. A feature not available in any other case management software, MyCase's integrated client portal lets you send secure client communications right from the system. A free 30-day trial is available, with prices beginning at $39 per user/month for attorneys, and $29 per user/month for paralegals and staff.